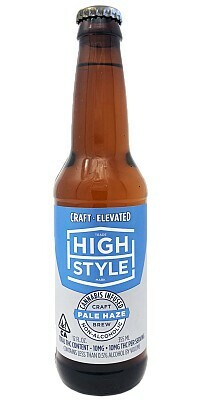 10mg of THC per bottle. Fast acting and euphoric. Pale Haze is an alcohol-removed, THC-infused variation on a hazy pale ale. The brew is medium hopped, using Cascade and Amarillo hops. The body is light, with notes of floral, citrus, pine, and smooth honey finish. A brew perfectly born out of the California lifestyle.